Can I Play With These? Ever since I can remember my Mom takes one night out of the year to make sweet treats. 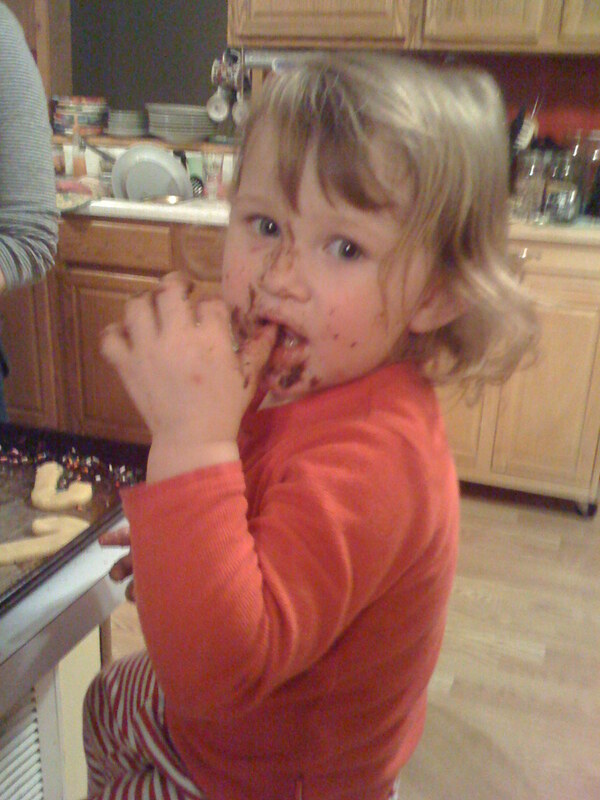 Our annual holiday candy making extravaganza took place the other night. It was a lot of fun. I deemed myself the taste tester. Not really, but I think I did more eating than baking. 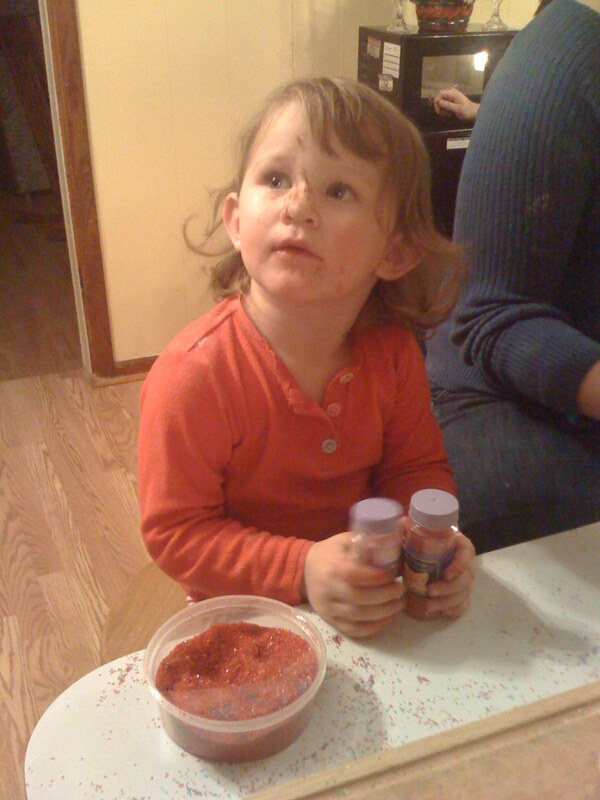 My two neices (one is 8 and one is 2) were there, and the youngest did not want to be left out so she got some sprinkles and decided to help decorate. 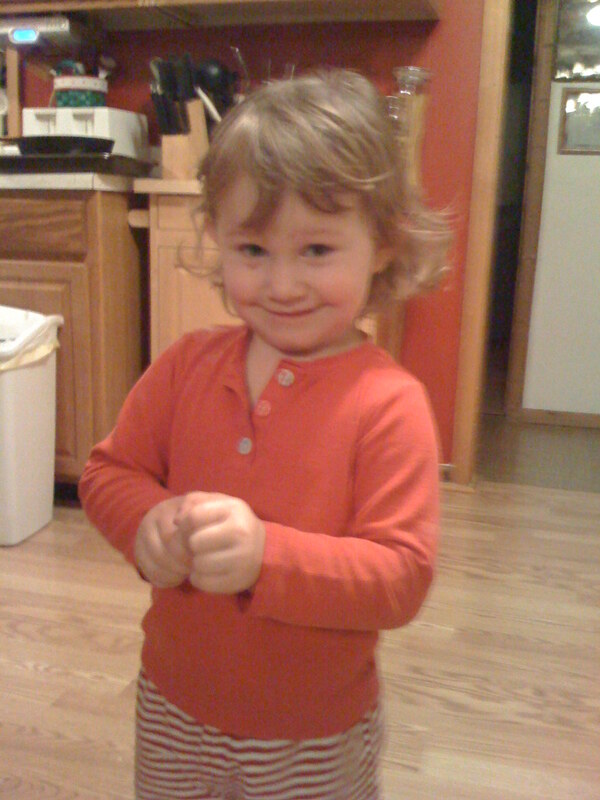 As you can see, she ended up being my taste test helper!